The other day I called the Toronto Symphony. It was great because you had to sit through a really long recording wherein they tell you not to make noise during concerts or wear strong perfume. I could not believe the part about the perfume! I wrote something on Facebook about it, that was how funny I thought it was. Toronto, a very weird town! But back to Leonard Pennario. I was calling the Toronto Symphony because I had to ask about this wild story Pennario had handed me. One day Pennario and I had been talking about our sleep. We talked about our sleep a lot. And he mentioned that one night he had played the Rachmaninoff Third in Ottawa and had to go up to Toronto and play another concert the next night on no sleep. "What did you play in Toronto, Leonard, on no sleep?" I asked him. He told me he played Beethoven's First, Prokofiev's Third and the Rach 3. "Oh, so it was three nights?" I said. "No, just one night. I played Beethoven's First, Prokofiev's Third and then, after intermission, the Rachmaninoff." But... but ... who does a program like that? I have never heard of a program like that. Plus the Beethoven First was not even in his normal repertoire. Pennario always played the Fourth. But there it is, in my notes. And the old man, he always told me the truth, and his memory was just spot on about everything. So this story sounds ridiculous but I am stuck with it, you know? That is why I am calling the Toronto Symphony. And eventually I get a hold of their archivist, a very nice man named John Dunn. 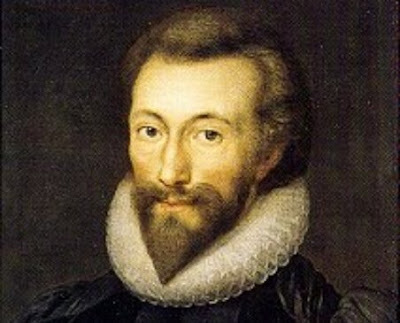 Almost like the poet John Donne! That is how you remember it. John was very nice but I was apologetic as I ran through the absurd story. "I know this is ridiculous," I said. "I must have misunderstood him. But you never know," I said. "If any pianist could do this, Pennario could. He was a nut." John started laughing. "You said it," he said. "I didn't." ... who, being your normal piano virtuoso, played that single concerto and nothing else that night. "No, I don't see it," John said finally. "Well, I figured I had misunderstood it," I said. Leonard Pennario, Massey Hall, the Toronto Symphony, the Beethoven First, the Prokofiev Third, the Rachmaninoff Third!! On Feb. 1, 1961! And in Ottawa the night before with the orchestra, the Rachmaninoff Third. I was filled with happiness and pride. I started laughing and babbling. "I have never heard of anyone doing anything like that!" I said. I did not even get into the business of no sleep. "Have you ever heard of anyone doing that?" I asked my new friend John. John was laughing too and he said, "Well, we have had soloists do two concertos, but no, I have never seen anything like this. Especially when you have these two huge concertos," he marveled. "The Prokofiev Third and the Rach 3! The Beethoven is a stroll in the park next to them. Those two --"
... lost his mind over the Rach 3. And that was all he had to play! Pennario played two other concertos that same night including one he did not even know! He probably read the Beethoven over in the cab on his way to the concert. Ahahahahahaha! Hahahahahahahhahahahahaaaaa!! That is this loud and obnoxious laugh Howard laughs when he is gloating over something and I have started to do it too. But wait! Now things get even better. Pennario did not study the Beethoven in the cab. Because now I could put the story together and this was the concert he drove to in the back seat of a cab with a beautiful woman on either side of him, both of them holding his hands. Is that not the greatest? He did not tell me about that, naturally, but one of the girls did. 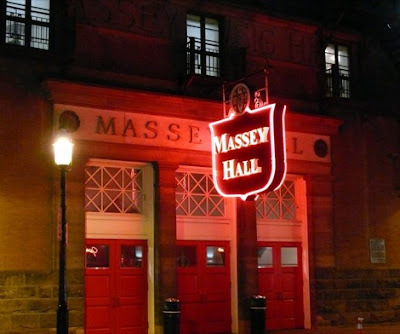 She did not remember the program but she sure remembered driving to Massey Hall holding Pennario's hand. Both these chicks were from Buffalo and they came up to Toronto to see him. I love that. I love how Pennario a.) could play these three concertos all in one night, including one he didn't even know, b.) could play them on no sleep and c.) was so unconcerned about the whole thing that he drives to Massey Hall with these girls holding his hands. And he even sits on the driveshaft, no problem! For me that sure is a lot more fun than Glenn Gould and his pills and his heavy coats and special piano bench. Wow, this feels great. It has been a long time since I have allowed myself to gloat and crow and take potshots at other pianists. I sort of gave it up for Lent. But now Lent is over. How amazing! Leonard was truly a great master and his style and sound are in a class by themselves. The Rach 3 is a perfect example and remains one of my all time favorite works by Pennario! If I were able to play a piano, I could now play it by heart. Wonderful post! Well, let's see...Mr. Pennario wasn't alone. Harold Schonberg notes that Busoni thought nothing of giving fourteen concertos in four programs. I wonder who L. P. studied with to develop that kind of endurance. Gyorgy (sp?) 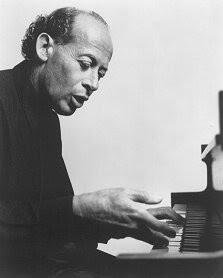 Sandor, a Bartok pupil who became a noted teacher, was proud of producing pianists who could play seemingly endlessly without fatigue. Also, Claudio Arrau mentioned once in an interview that he never tired physically from practicing. Thanks, Larry and Jennifer, for sharing my joy in this great story! Prof. G, thanks for the scholarship -- I was hoping to learn if anyone else had done this. I think if all we are up against are Busoni and these pupils of Gyorgy Sandor, we are sitting pretty! That does suggest that what Pennario did was uncommon. About the endurance, Pennario did not practice very much. Maybe that was his secret. Interesting. If Pennario didn't practice very much, he was one of the lucky ones...born to play piano. Supposedly this was also true of Walter Gieseking (more show off scholarship. I really should get a life). Pennario was born to play the piano ... really a freak of nature. But don't get me started..